Recently, Terry Vaughn has been doing a little better. An addition on the house has given the Vaughns the wheelchair ramp that is now necessary. His new wheelchair is allowing him to venture out more, and perhaps most importantly, Iowa Wrestling has started up again. 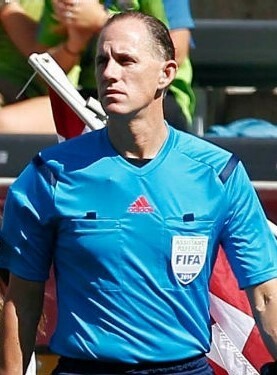 Terry Vaughn was an MLS Referee for 15 years. He was a FIFA Referee for 9 years. He worked FIFA and CONCACAF tournaments. 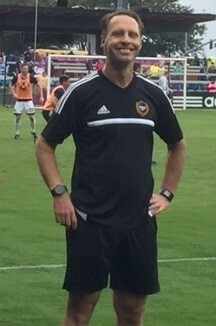 He refereed in the CONCACAF Champions League. He worked college games for over 20 years and is in the NISOA Hall of Fame. Yet he was holding a secret the entire time. Terry, now 43, was 30 when he tested positive for the gene that causes Huntington’s Disease (HD). Learning this was not the result of a series of long, extensive tests involving a string of specialists, but instead was the result of a DNA test conducted because he and his wife Kim wanted to have a child. Terry’s father had HD and passed away at the age of 49. Terry has lost his father, both of his uncles, and his grandmother to HD, and currently has 2 cousins that will be or are symptomatic. Huntington’s Disease is not a well-known disease. It doesn’t get its own color, and no one knows its month (May, by the way). It is a hereditary disease that is currently incurable. The symptoms begin to exhibit themselves primarily between the ages of 35 and 45. Huntington’s slowly kills brain cells and eventually causes the brain to decline into dementia. 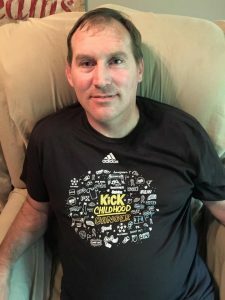 Terry, is best-known as a soccer referee, but long before that, he was a gifted athlete who wrestled all 4 years at the Iowa HS State tournament. He still follows the sport and can be found every winter watching the University of Iowa Wrestling team, where the Vaughns remain season ticket holders. 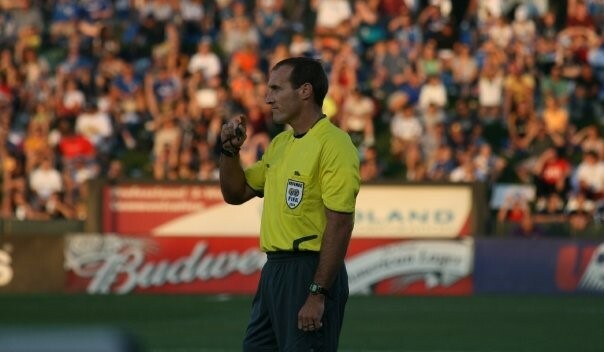 As a referee, Terry worked a total of 238 games in his MLS career: 167 as Referee, 56 as 4th official, and 15 as Assistant Referee in 1998 & 1999, his first two years in the league. He was nominated to the FIFA Referee panel in 2004 and represented the USA until his retirement in 2012. He refereed at the CONCACAF Gold Cup in 2007 & 2009, and was selected for the FIFA U-20 World Cup in 2007. 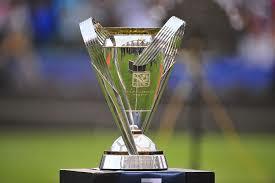 Highlights of his MLS career include 22 playoff games, as well as working the 2006 & 2009 MLS All-Star game as a 4th Official. 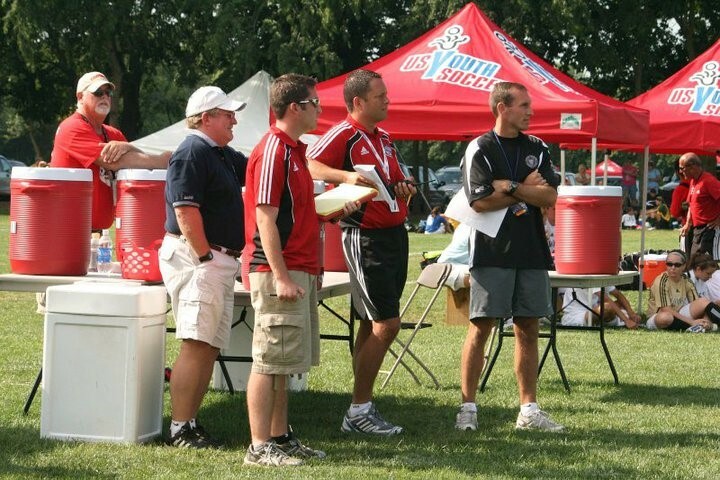 A genuine and likeable guy, Terry has interacted with referees at youth tournaments across the country. He could regularly be found mentoring at USYSA Regional or National tournaments, at USSF Development Academy events, or back in his home state of Iowa. Terry knew all along he had a limited window to achieve the success that he did. That’s why he worked so hard in every aspect of life and in soccer along the way. Considering how much of Terry’s time as a referee was used for mentoring, and how many referees benefitted from that instruction, it almost doesn’t seem fair. Kim recalls that mentoring was one of Terry’s favorite things to do, and that he got so much joy out of it. No matter what his role, everyone got to see Terry at his best, because there was no other option for him. 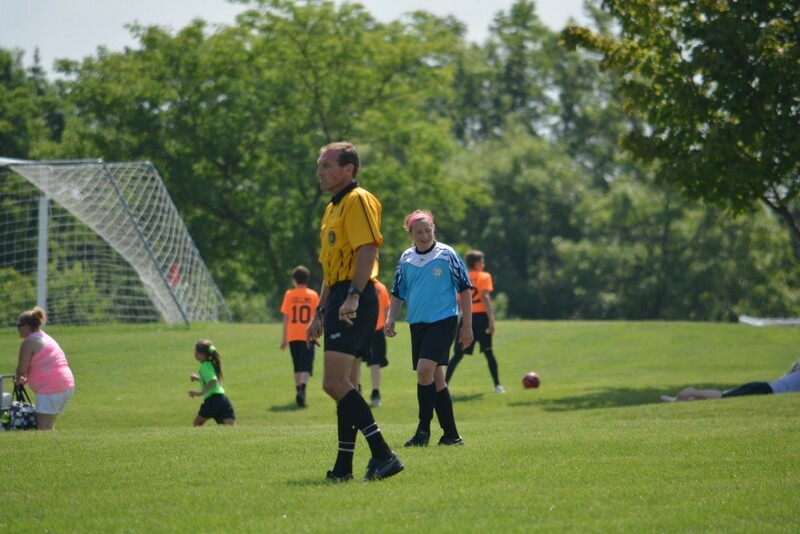 Successful referees typically come from successful soccer areas with good players, good teams, good coaches, and a deep pool of retired referees to mold the referees that follow them. Mount Vernon, Iowa, is no soccer mecca, but Terry realized that residing there would be a crutch only if he let it be. 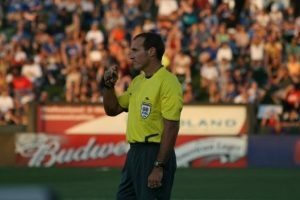 In his earlier refereeing years, Terry’s drive to be a successful referee led him to Chicago, where he gained valuable experience as a referee – frequently in some of the toughest men’s amateur leagues in the country. While Terry was focused on becoming a better referee, he never lost touch with the referees surrounding him. Each winter since 2002, the Iowa Referee Committee has hosted a referee clinic that Terry started. It regularly draws 300-500 referees and is widely considered one of the best in the country. In an effort to keep the academy free for anyone who wanted to attend, Terry worked diligently to find sponsors each year. 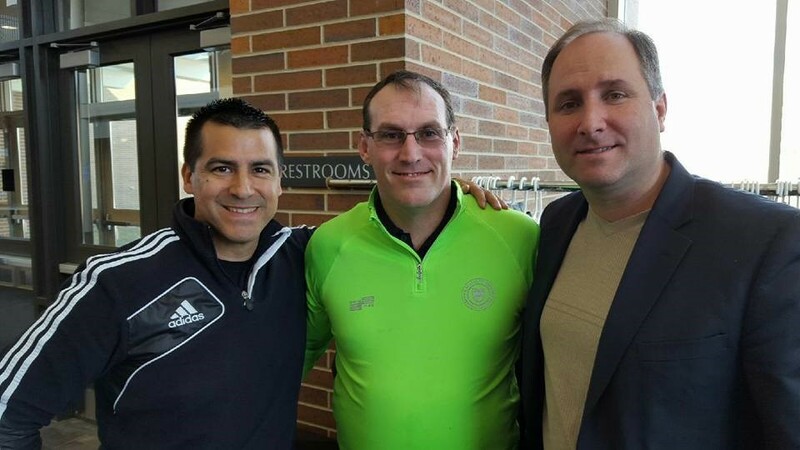 The academy has had dozens of FIFA referees, National referees, and NISOA referees as instructors in the past – attributable directly to the friendships that Terry has fostered through the years and the hospitality of the Iowa referee community. 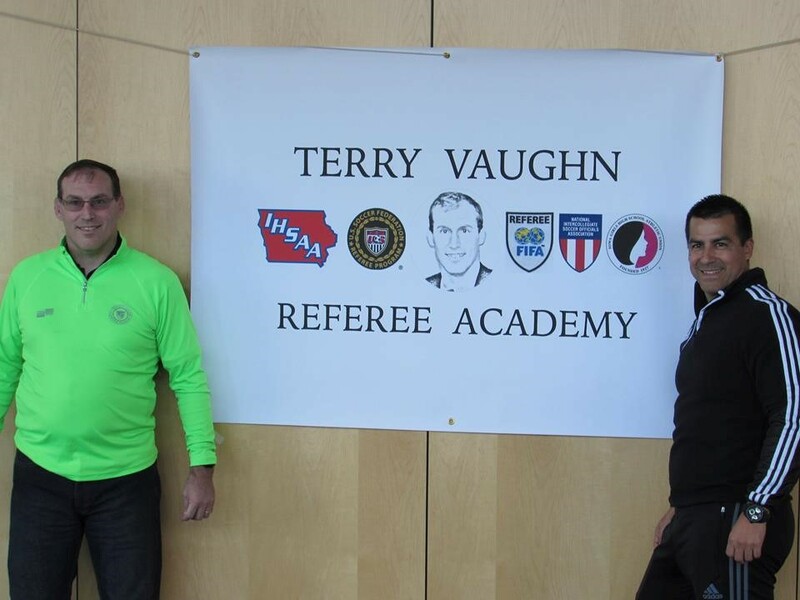 In February 2016, the Iowa Referee Committee renamed the academy in his honor. 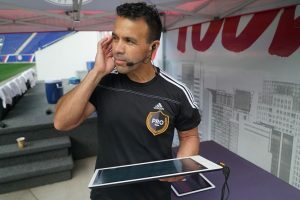 The ceremony included tributes from dozens of veteran referees across the country, as well as video tributes from a long list of friends Terry made throughout his career in MLS, USSF, AYSO, NFHS, and NISOA. Terry retired from the FIFA Referee panel and from professional refereeing at the end of 2012, at age 39. He continued to referee High School and College, but it soon became too much. Refereeing had long been an escape from Terry’s sentence, but time had finally caught up with him. Initial HD symptoms are sometimes easy to miss – your mental abilities are not as sharp, your mood changes, and you become unsteady and uncoordinated. As Huntington’s progresses, random body movements become more apparent and jerky. HD can be described as having the symptoms of Parkinson’s, ALS, and Alzheimer’s simultaneously. One of the aspects of HD that most frustrates medical professionals and family members is its lack of predictability. Each patient reacts differently to medications, and those small differences can multiply to large knowledge gaps in HD research. The genetic basis for HD was not discovered until 1993, and much more research and funding is needed for a cure. In January 2015, Terry decided it was time to see a HD specialist and was prescribed a drug called Xenazine. “He did wonderfully on the drug – his movements became non-existent for the first time,” said Kim. Terry did his best to hide his emotions for a long time after that. He wanted to portray to his wife and daughter that everything was under control; that it would be OK. Life went on as normal for several months. 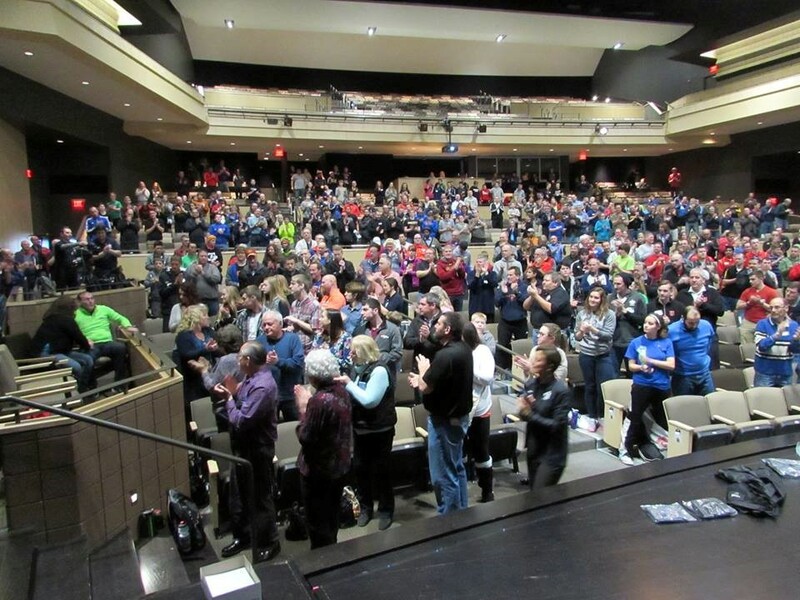 It was likely a mix of pride and denial – feelings most of us would experience. Everything eventually built up and Terry decided one day that he could no longer go to work or help with the family. It was that quick. Days quickly arrived when Huntington’s made normal, everyday minor issues seem like monumental problems. Someone spilling something on the floor or getting home late from work would cause Terry to get very upset. “Things quickly spiraled out of control to where he wasn’t sleeping and began having very dark thoughts about hurting himself. I naively thought I could still fix this and help him, but unfortunately he was too far into his depression and he was so angry at God,” recalls Kim. The dark reality of Huntington’s doesn’t exhibit itself in the uncoordinated movements – those can be managed and dealt with. Those are just side effects, relatively. The real tragedy is that HD destroys brain cells. There is no cure. It causes happy-go-lucky people to have fits of rage and seemingly change into a different person. HD is characterized by movement disorders, cognitive disorders, and behavioral/mood disorders. Some treatments can relieve certain symptoms of HD, but one of the realities of HD is that there currently is nothing that can be done to stop the disease. Full-time care is required in the later stages. As Kim alluded to, there were times in the summer of 2015 when Terry wanted to end his own life. He was becoming angrier and was determined not to be a burden on his family. It’s unfathomable that the same person whom everyone loved refereeing with would be in a situation like this. For his family, it was very difficult to see him reach a new level of depression and anger. By Thanksgiving 2015, Terry’s dementia began to get worse. A medication change to help him physically, hurt him mentally. He began to get angry again, this time much more violent than before. “It is surreal at times to realize this man refereed in Azteca Stadium in Mexico City, in a stadium that holds 100,000 people inside while another 100,000 party outside, but now he can’t control his emotions or realize that his anger isn’t going to change his situation,” Kim said. Meanwhile, Kim struggled with all the normal emotions and decisions that we all would struggle with, if we’re honest. There have been times of pity, times of strength, times of fear, and times of happiness. 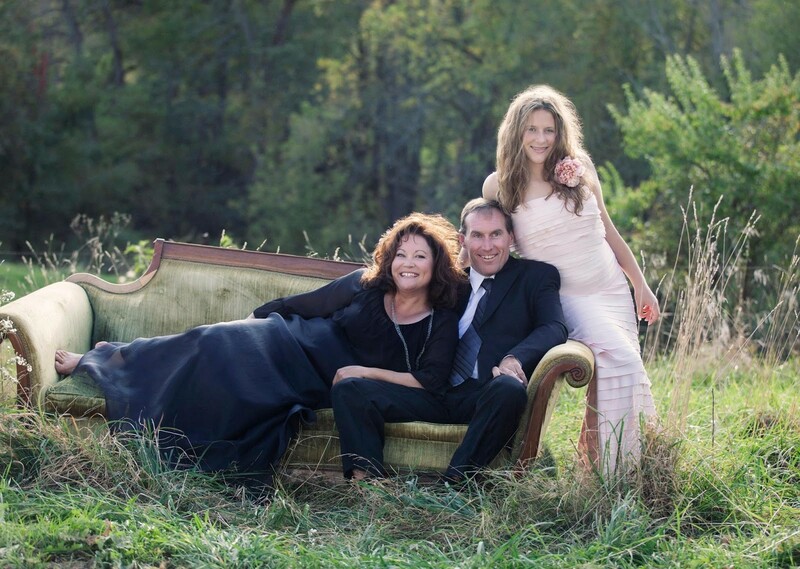 Throughout this battle with HD, Kim has drawn herself back to her faith, her family, and her friends. If faced with a decision to take someone we deeply love to the hospital knowing that he or she may not come home again, would we make the “right” choice? What is the “right” choice? The family has had to decide between short term safety and long term loss several times. Huntington’s turns the most peaceful person into a violent, unrecognizable stranger. 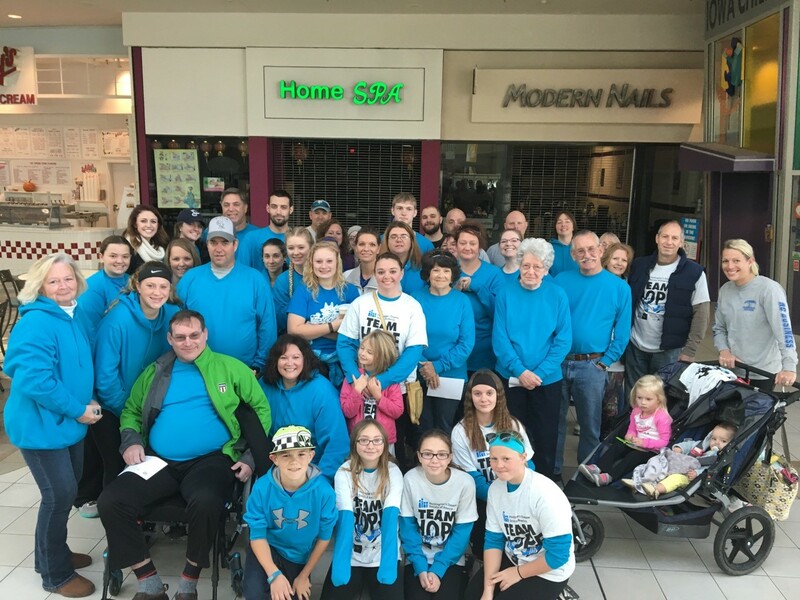 This past spring, one instruction from the doctors was for the family not to get caught up in Terry’s choice to participate or not participate in something. 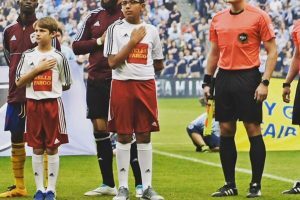 Going to a soccer game, or a wrestling meet, or a softball game; those needed to be more of an option, as the doctors wanted to see how he progressed under those guidelines. Terry’s daughter is an active 11-year old who plays softball and soccer, and makes sure to give Terry a full report on the referees from her games that he can’t attend. They still banter about whether the referee was right or wrong. Terry approaches these discussions like he would if he were still mentoring the referees, by offering constructive criticism or advice, but it’s geared toward his daughter now instead of the referees that he spent so many years helping. There have been plenty of light-hearted moments along the way, as well. Back in 2014, Terry was still active and had gotten down to his lowest weight as an adult. Fast forward to January 2015, and the specialists said he needed to focus on putting on some weight, as they were a bit concerned. The man who was a gazelle on the soccer field and worked incredibly hard on his fitness will pat his pot belly now and gladly say that he’s just following doctor’s orders. Terry had a string of good friends come by and visit this past May. His mood changed for the better. He was excited to see people he hadn’t seen in some time. Despite his decreasing ability to fully stand or walk on his own, he was determined to venture out at times and see his daughter’s games, which in turn gave the entire family wonderful optimism. At his daughter’s last soccer game of the season, Terry fell in the grass while standing with his walker. Despite it being a soft fall, it served as a final reminder that his pride, and his athletic mentality, needed to take a step back a bit. The need for a reliable way to move around came to fruition this past summer when Terry decided he needed a wheelchair full-time. According to Kim, “He teased our daughter he was going to get pink and purple so that he could embarrass her…It is very important for an 11 year old not to have the weird parents.” The enthusiasm and motivation he felt enabled him to get out to the county fair and see the calves that his daughter was showing. While this was a highlight of his summer, it also marked the beginning of another decline in his mood and attitude in the coming weeks. Recently, anxiety began to surface from Terry about an addition to the family’s house. He knew that the wheelchair ramp, the accessible bathroom, and his own bedroom were necessary and welcome, but the HD was again causing anger about both minute details and major construction aspects. In one moment, he will be concerned about how Kim isn’t sleeping at all due to his movements, and in another he is concerned that someone isn’t by his side at all times, even for a few minutes. Currently, research efforts in London are testing a new drug called ISIS-HTTRx. It targets a toxic protein called mutant huntingtin, which is the root cause of the disease. It is intended for patients who are in the early stages of HD, and while the window for Terry to benefit from the drug has passed, it would delay his symptoms and would possibly help his cousins. The Vaughns are optimistic that the University of Iowa will be an approved testing facility if these experimental drug trials are approved in the US. Terry has been doing well in recent weeks. 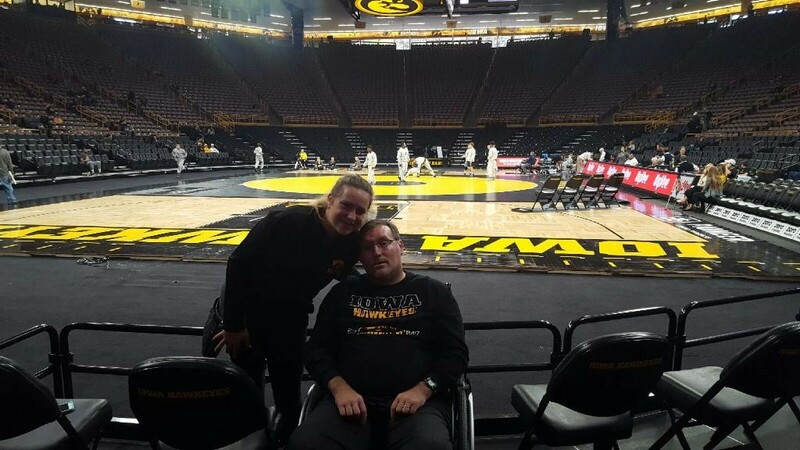 The addition on the house has brought him both comfort and security, his new wheelchair is giving him more freedom, and Iowa Wrestling has started its season well. He will now walk around the house each day with his walker; something he wasn’t willing to do previously. Most importantly for the family, their dining room table was able to be put back in the kitchen, and Terry can sit down with them for a family dinner.